We are here when you need us. 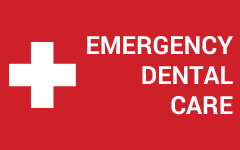 We offer general and emergency dental care for the whole family throughout the San Francisco area. Whether you have a toothache, sports injury, chipped or broken teeth, lost a crown or filling, issues with dentures, or any other dental emergency we can relieve your pain and correct the problem. Relieve your pain today, call 415-760-3182.